My iMac (Retina 5K 27”) completely crashed after installing DJI Pro Assistant software. Here’s how I recovered from the crash along with three important lessons everyone should take away from my experience. I own a DJI Ronin S gimbal and use it with a variety of cameras for video work. One of my favorite DSLR video bodies is the Nikon D850. As many of you know, when you are shooting video with DSLR cameras, you generally focus manually by rotating the focus ring on the lens barrel. Trying to manually pull focus while on a gimbal can especially difficult since the operator is trying to simultaneously manage to hold the gimbal with one hand while focusing with the other hand. A new firmware update for the Ronin S allows the user to remotely control the D850 focus from the gimbal’s focus wheel so you can use both hands to steady the system. In order to upgrade the gimbal’s firmware, you first have to install the DJI Pro Assistant software on your computer. This software then allows you to interface directly with the gimbal through a USB — C cable to upgrade the Ronin S firmware. I downloaded the DJI Pro Assistant software to my iMac and at the end of that process, it directed me to reboot the computer. I did, and my computer never recovered. Basically, the computer would power on but it would never move past the boot screen. After trying several different methods to resurrect my computer, I finally had to resort to holding Command + R until the system utilities screen appeared. At that point, I chose to do a full-time Machine restore, a process that took me over nine hours to complete. Because I’m adamant about keeping a Time Machine backup disk attached to my main computer at all times, I didn’t lose any critical work or settings. I was able to get my computer back to its original state as if nothing was wrong. The difficulty here was that it took a long time to fully restore the computer. To solve this issue, I always keep a clone of my computer’s hard drive on another SSD so that I can move that data over to another computer to work on my files. If I didn’t have that clone, I would have been out of commission until my Time Machine restoration was completed. Use an automated full-system backup like Time Machine (Mac) or Backup and Restore (Windows). This allows you to restore your computer to its state at a previous point in time. Keep a complete disk copy (clone) of all of your main computer’s working files on a separate disk drive. This clone will allow you to keep working on a separate computer while you restore your main computer. 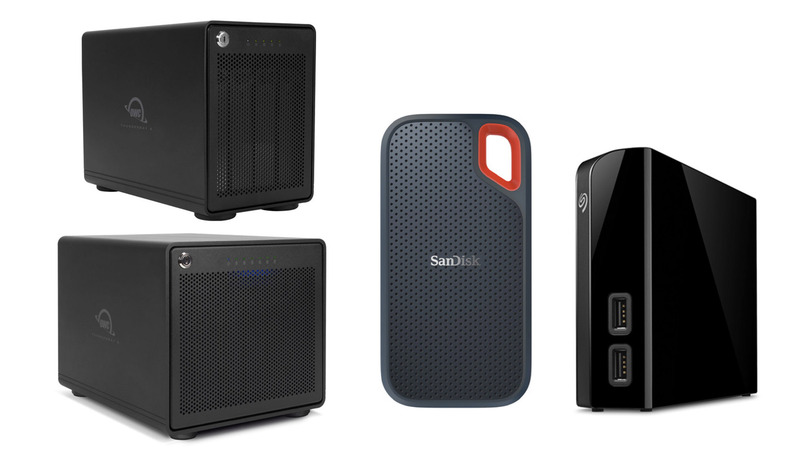 Backup everything to multiple hard drives. I strongly suggest having at least one on-site backup hard drive and one off-site backup hard drive. If you can afford the bandwidth and the storage fees, then I also suggest cloud-based backup for your data. I suggest Backblaze, Carbonite or CrashPlan. How exactly did you come to the conclusion that installing the DJI software caused your Mac to not be able to boot? Your article does not tell us this. Therefore, it’s coincidence unless you can explain the connection. Many things can cause a Mac to become corrupt. It may have become unbootable before you installed that software, and you discovered this only upon reboot. I get what you’re trying to say but it’s also very likely to be interpreted as the DJI software being the cause. I’m guessing that’s not what you intended. I’m 99.99% confident it was the DJI software. I was using the iMac right up to the installation of the software and I’ve been using this particular computer for almost a year. After installing the software, the user interface asked me to reboot the system. It was during that process that the computer became unresponsive. After restoring my system to its previous state (time stamped one hour before the software install), the computer continued to operate normally. I’m not sure what else it could have been. It also would have been an unlikely coincidence that something else caused the computer failure. I’m always learning and I don’t claim to be an expert. Do you know something that might shed further light on the subject? However, the bigger picture of the article is to back up your system.